What are killer applications for E2E slicing in 5G and IoT era? What kind of stakeholders should be involved in the future 5G market? What are technical challenges especially in 5G E2E slicing? What are issues in 5G network softwarization from technical and societal viewpoints? What is missing and what is strongly expected to improve in the orchestration framework? How to deal with the diversity of initiatives, standardization bodies, and national projects? As almost of all participants may recognized that, network softwarization including SDN, NFV and network slicing are strongly demanding in terms of efficient realization and expected as one of key technologies in 5G network evolution. As such this panel will have very much interests from IM/NOMS community. Furthermore, we would like to discuss not only research and development aspects but also diverse perspectives like standardization, stakeholder eco-systems, social acceptance, and application and service viewpoints. From operation and management viewpoint, since technical challenges for handling multi-domain and multi-operator (i.e. telecom carriers, virtual network operators, service providers, and cloud operators) will be required, discussing how to solve these issues is promising to have much attention from IM participants. Yoshiaki Kiriha (moderator) is a project researcher in the University of Tokyo. He received an M.S. Degree in Electrical Engineering from Waseda University in 1987. He then joined NEC, where he worked in the R&D division for over 20 years, and has led many projects related to distributed database systems, real-time systems, as well as Future Internet service & management systems. He has contributed continuously as a TPC member for almost of all IM & NOMS conferences from 2000, has served as a TPC Co-chair in NOMS2010. He has also served as a chair of TC on Information Communication Management IEICE 2010-2011. Prof Adlen Ksentini received his M.Sc. degree in telecommunication and multimedia networking from the University of Versailles Saint-Quentin-en-Yvelines, and his Ph.D. degree in computer science from the University of Cergy-Pontoise in 2005, with a dissertation on QoS provisioning in IEEE 802.11-based networks. 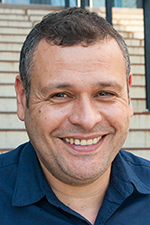 From 2006 to 2016, he worked at the University of Rennes 1 as an assistant professor. During this period, he was a member of the Dionysos Team with INRIA, Rennes. Since March 2016, he has been working as an assistant professor in the Communication Systems Department of EURECOM. 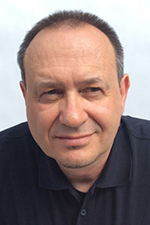 He has been involved in several national and European projects on QoS and QoE support in future wireless, network virtualization, cloud networking, and mobile networks. He has co-authored over 100 technical journal and international conference papers. He received the best paper award from IEEE IWCMC 2016, IEEE ICC 2012, and ACM MSWiM 2005. He has been acting as TPC Symposium Chair for IEEE ICC 2016/2017, IEEE GLOBECOM 2017, IEEE Cloudnet 2017 and IEEE 5G Forum 2018. He was a Guest Editor of IEEE Wireless Communications, IEEE Communications Magazine, and two issues of ComSoc MMTC Letters. He has been on the Technical Program Committees of major IEEE ComSoc, ICC/GLOBECOM, ICME, WCNC, and PIMRC conferences. He is currently the Vice-Chair of the IEEE COMSOC Technical Committee on Software (TCS). Prof Akihiro Nakao received B.S. (1991) in Physics, M.E. (1994) in Information Engineering from the University of Tokyo. He was at IBM Yamato Laboratory, Tokyo Research Laboratory, and IBM Texas Austin from 1994 till 2005. He received M.S. (2001) and Ph.D.(2005) in Computer Science from Princeton University. 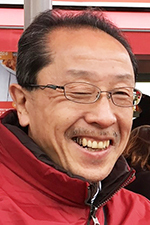 He has been teaching as an associate professor (2005-2014) and as a professor (2014-present) in Applied Computer Science, at Interfaculty Initiative in Information Studies, Graduate School of Interdisciplinary Information Studies, the University of Tokyo. He has been appointed as a chairman of the Network Architecture Committee of 5G Mobile Communication Promotion Forum (5GMF) since Sep., 2014. 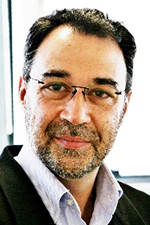 Prof Alex Galis is a Professor In Networked and Service Systems at University College London (UCL). He has co-authored 10 research books and more that 250 publications in the Future Internet areas: system management, networks and services, networking clouds, 5G virtualisation and programmability. He participated in a number of EU projects including overall technical leadership of the MISA - Management of IP networks, FAIN – programmable networks, CONTEXT – context aware networking and AUTONOMIC INTERET – autonomic networking projects. He was a member of the Steering Group of the Future Internet Assembly (FIA) and he led the Management and Service–aware Networking Architecture (MANA) working group at FIA. He acted as PTC chair of 14 IEEE conferences including TPC co-chair of IEEE Network Softwarization 2015 (NetSoft 2015) and reviewer in more than 100 IEEE conferences. He also acted as a Vice Chair of the ITU-T SG13 Group on Future Networking. He is involved in IETF network slicing activities and he is currently the co-chair of the IEEE SDN publication committee. 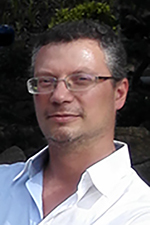 Dr Marius Corici received his Diploma in the Science of Systems and Computers – Computers Engineering from the Politehnica University of Bucharest, Romania in 2005. He joined the Next Generation Network Infrastructures (NGNI) competence center of Fraunhofer FOKUS Institute in 2005. Currently he holds the position of deputy head of the same competence center, leading the Reliable Network Infrastructure (RNI) team responsible for the development of the Open5GCore, OpenSDNCore and Open5G-MTC toolkits acting as a research pathfinder for the evolution of the digital networks towards vertical sectors and customization of massive core networks. Prof Tarik Taleb received the B.E. degree in information engineering (with distinction), the M.Sc. and Ph.D. degrees in information sciences from GSIS, Tohoku University, Sendai, Japan, in 2001, 2003, and 2005, respectively. He is currently a Professor with the School of Electrical Engineering, Aalto University, Espoo, Finland. He is an IEEE Communications Society (ComSoc) Distinguished Lecturer. 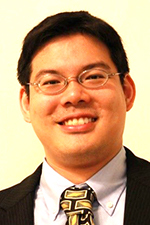 He is a Member of the IEEE Communications Society Standardization Program Development Board. In an attempt to bridge the gap between academia and industry, he founded the IEEE Workshop on Telecommunications Standards: From Research to Standards, a successful event that was recognized with the Best Workshop Award by the IEEE Communication Society (ComSoC). Based on the success of this workshop, he has also founded and has been the Steering Committee Chair of the IEEE Conference on Standards for Communications and Networking. 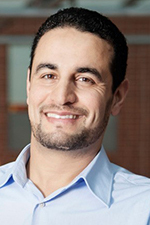 He is the General Chair of the 2019 edition of the IEEE Wireless Communications and Networking Conference (WCNC’19) to be held in Marrakech, Morocco. He is/was on the Editorial Board of the IEEE TRANSACTIONS ON WIRELESS COMMUNICATIONS, the IEEE Wireless Communications Magazine, the IEEE JOURNAL ON INTERNET OF THINGS, the IEEE TRANSACTIONS ON VEHICULARTECHNOLOGY, the IEEE COMMUNICATIONS SURVEYS & TUTORIALS, and a number of Wiley Journals. The emerging Internet of Things (IoT), 5G wireless systems, and a wide range of new applications such as embedded Artificial Intelligence (AI) have created the need for a new computing and networking paradigm – Fog. Rather than limiting computing to a small number of massive Clouds, Fog distributes computing, storage, control, and networking services closer to the end users along the Cloud-to-Thing continuum where these services can best meet user requirements. The immersive Fog computing can address many challenges that Cloud alone cannot effectively address, such as stringent latency requirements, limited processing and storage capabilities and battery life of a vast number of devices, network bandwidth constraints and costs, and many security and privacy concerns that arise from the emerging IoT. Fog allows services to be provided closer to the users and to be better customized based on local needs. For example, local data analytics can be carried out by nearby Fog nodes, software distributions can now be hosted by Fog nodes closer to where the software is needed, operating systems and their associated services can be offered through nearby Fog nodes, time-critical 5G applications can be supported by Fog inside radio access networks, and equipment and service outsourcing (e.g., storage, hardware, servers, and networking components) can be provisioned through Fog systems. This new Fog computing and networking paradigm will fundamentally reshape end-to-end networking and computing architectures and the industry landscapes. In response, the information and communications industries are devoting significant amounts of effort to developing Fog technologies, which is exemplified by the Open Fog Consortium – a global industry-academia consortium launched in 2015 to accelerate market adoption of the Fog computing and to develop an open Fog architecture. The many profound research challenges in Fog computing and networking are also drawing a booming interest in the academia. One fundamental challenge in Fog computing is how to manage the large number of widely distributed Fog systems and the applications in such systems. For example, many Fog systems will operate remotely and by non-technical users (e.g., Fog nodes on connected vehicles and drones). Sending these systems to experts frequently for management tasks can be highly undesirable. Therefore, Fog systems will demand significantly more automated capabilities for remotely managing the Fog networks, systems, software, security, and applications. Many Fog systems, such as those integrated with industrial control systems or other cyber-physical systems, will also have significantly different operational requirements that will make many existing management practices unsuitable (e.g., frequent software patching will not be practical in many industrial control systems). Furthermore, many remote Fog systems will have to operate in highly vulnerable environments, making it difficult for a management system to even know the current state of the system to be managed in a trustworthy and scalable manner. We propose this panel to bring experts from both academia and industry together to discuss the fundamental challenges and opportunities in managing distributed fog systems and applications, where the industry is going in this area, and identifying the key research issues. Important issues and challenges to be discussed would include a) integration and interoperability of fog management with network cloud management in order to effectively operate the large number of widely distributed Fog systems and the applications in such systems and b) new approaches, enablers, facilities and platforms for fog management. Dr Douglas N. Zuckerman (moderator) - An active volunteer for more than 30 years, Doug Zuckerman is a past IEEE Division III (Communications Technology) Director, was 2008-2009 President of the IEEE Communications Society, and previously held leadership positions in conferences, publications and membership development. He received his B.S., M.S. and Eng.Sc.D degrees from Columbia University, USA, and is an IEEE Life Fellow. His professional experience, mainly at Bell Labs and Telcordia Technologies, USA, spans the operations, management and engineering of emerging communications technologies, networks and applications. His work heavily influenced early standards for management of telecommunications networks. Presently semi-retired, he is still active in standards as a representative to the OpenFog Consortium where as a board member. He is also a consulting employee for Vencore Labs (Applied Communications Sciences). 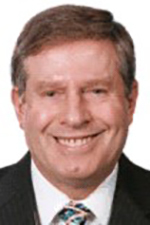 He currently serves on the IEEE Communications Society’s Board of Governors and the IEEE Future Directions Committee. Dr Tao Zhang - an IEEE Fellow, is a Distinguished Engineer / Senior Director of Cisco’s Corporate Strategic Innovation Group. He joined Cisco in 2012 as Chief Scientist for Smart Connected Vehicles. Since then, he has also been leading initiatives to create strategies, architectures, technology, and eco-systems for the Internet of Things (IoT) and Fog Computing. Prior to Cisco, he was Chief Scientist and Director of Mobile and Vehicular Networking at Telcordia Technologies (formerly Bell Communications Research or Bellcore). For over 25 years, Tao has been in various technical and executive positions, directing research and product development for vehicular, mobile, and broadband networking. 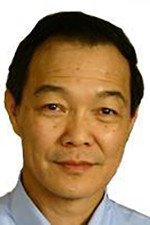 Dr. Zhang is a Co-Founder and a Board Director of the Open Fog Consortium, the CIO and a Board Governor of the IEEE Communications Society (2016 and 2017), and a founding Board Director of the Connected Vehicle Trade Association (CVTA). 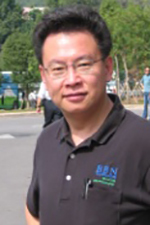 Prof T. Russell Hsing – IEEE Life Fellow and Fellow for the British Computer Society (BCS) and SPIE, is Chair Professor National Chiao Tung University (Taiwan), Guest Professor Peking University (China), Adjunct Professors at Arizona State University (US), and the Chinese University of Hong Kong. 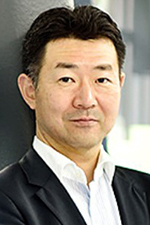 Currently he is an OpenFog Consortium Board member and on the Advisory Board for four high-tech US start-ups (DaTaMi; Smartiply; and IoT Eye, Inc.) and Taiwan (ePass2U). He has been Academic Advisor for the Next Generation Mobile Networks (NGMN) Alliance since March 2014. Currently, his research efforts concentrate on Wireless 5G, Internet of Things, Network Economics & Neutrality, Fog Network & Computing, and Technology Entrepreneurship. From 1976 to 2012, He was with the Applied Research Center in Bellcore/Telcordia/Ericsson as Director (1986-1995) and then Executive Director (1995-2012). He holds a B.Sc. (1970) from Taiwan, M.Sc. (1974) and Ph.D (1977) of Electrical Engineering, the University of Rhode Island. Prof Hung-Yu Wei - received his B.S. degree in electrical engineering from National Taiwan University (NTU) in 1999. He received his M.S. and Ph.D. degrees in electrical engineering from Columbia University, in 2001 and 2005, respectively. He was a summer intern at Telcordia Applied Research in 2000 and 2001. He was with NEC Labs America from 2003 to 2005. He joined Department of Electrical Engineering at the National Taiwan University in July 2005. He is currently a Professor with the Department of Electrical Engineering and Graduate Institute of Communication Engineering at National Taiwan University. 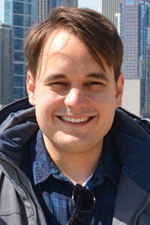 His research interests include broadband wireless communications, vehicular networking, cross-layer design for wireless multimedia communications, Internet of Things, and game theoretic models for networking. He was a consulting member of the Acts and Regulation Committee of the National Communications Commission during 2008-2009. He actively participates in wireless communications standardization activities, and was a voting members in IEEE 802.16 working group. Dr Robert S. Fish - is IEEE ComSoc’s VP Industry and Standards, President of NETovations, LLC, and a Computer Science Department faculty member at Princeton University. Previously, he was Chief Product Officer and Senior VP at Mformation, Inc. Before that, Rob was VP and Managing Director of Panasonic’s US R&D. Prior to this, he was Executive Director, Multimedia Communications Research at Bellcore/Telcordia after starting his career at Bell Laboratories. Besides his many publications, Dr. Fish has been awarded 17 patents. He received his Ph.D. from Stanford University. Dr. 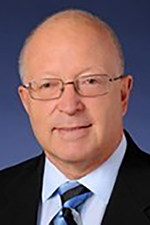 Fish has been an IEEE Standards Association Board of Governors member, was Chair of IEEE-SA’s Global Committee, and was a founding member of the IEEE-SA Corporate Advisory Group. During his career, Dr. Fish and his organizations have initiated and managed standards development activities in IEEE, ISO/IEC JTC1, 3GPP, OMA, IETF, ATSC, CableLabs, OSGi, and probably a few others. 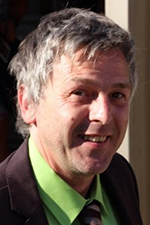 Dr Thierry Coupaye - is head of research on Internet of Things (IoT) inside Orange Labs. Prior to that, after he completed his PhD in Computer Science in 1996, he had several research and teaching positions at Grenoble University, European Bioinformatics Institute (Cambridge, U.K.) and Dassault Systems. He joined France Telecom in 2000 where he had several research expert, project manager, project and program director positions in the area of distributed systems architecture, autonomics, cloud computing and networking. He is the author of more than 60 refereed articles and has participated in multiple program and organization committees of conferences in these areas. He has been involved in several collaborative projects and is a regular expert for French and European research agencies. The cyber adversary is persistent, sophisticated, and ever-present. The protection of cloud-enterprises against cyber threats has become a very visible challenge. With the disclosures of successful hacking of multiple enterprises, including Sony Pictures, Target, healthcare providers, and many other organizations, this threat must be continually addressed. Prudent enterprise managers must assume that the adversary is “in” the systems, and that the enterprise must continually defend and protect the enterprise against cyber threats. The vast connectivity that the Internet brings about, affords many benefits to multiple businesses. However, the price of this connectivity is a better and longer outreach of multiple cyber hackers to just about any Internet-connected and cloud-connected network. The cloud enterprise must protect itself from this danger. This panel will address a number of perspectives of this target-rich challenge. Each panelist will provide a unique perspective on this problem in her/his opening position statement. The Panel will then have a moderated discussion, followed by active Q&A session with the audience. Audience participation is greatly encouraged. Dr Joe Betser is a Senior Project Leader for Strategic Planning, Knowledge Management, and Business Development with the Aerospace Corporation. Joe Coordinates strategic and developmental planning support to the Chief Scientist of the USAF Space and Missile Systems Center, in order to enhance our collaboration projects, and successfully transition science and technology results into Space capabilities. 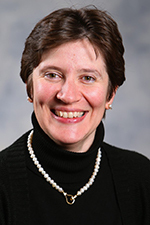 Dr Betser joined Aerospace in 1991, established the network management laboratory, and served as a DARPA principal investigator in the fields of networking, cyber, fractionated space architectures, and manned on-orbit servicing (NASA/DARPA). He received multiple commendations including the GPS Program Recognition Award, and awards for serving as a Program Chair and General Co-Chair of the Ground System Architectures Workshop (GSAW). Joe served as the General Chair for Malware TEM (MTEM) 2014 and published book chapters in several books on Big Data, Clouds, Knowledge Management and E-Learning. Dr. Betser served as the Vendor Program Chair of the IFIP/IEEE IM 1993 in San Francisco, recruiting 39 company sponsors and leading five networked technology centers demonstrating SNMPv2, OSI, RMON, OMNI-Point, & Applications. Joe was commended repeatedly for spearheading university outreach activities, and also received international citations from the IEEE and IFIP for leading global activities. Joe serves on multiple boards, and chairs the Engineering Visitors Committee at Harvey Mudd College. He has a B.S. in aerospace engineering, M.S. and Ph.D. degrees in computer science, and an executive MBA from the University of California, Los Angeles. Prof Carol Fung is an assistant professor of computer science at the Virginia Commonwealth University (USA). 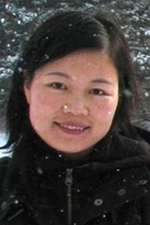 She received her Bachelor's and Master's degrees in computer science from the university of Manitoba (Canada), and her PhD degree in computer science from the university of Waterloo (Canada). Her research interests include collaborative intrusion detection networks, social networks, security issues in mobile networks and medical systems, location-based services for mobile phones, and machine learning in intrusion detection. She is the recipient of the best dissertation awards in IM2013, the best student paper award in CNSM2011 and the best paper award in IM2009. She received numerous prestige awards and scholarships including Google Anita Borg scholarship, NSERC Postdoc fellowship, David Cheriton Scholarship, NSERC Postgraduate Scholarship, and President’s graduate scholarship. She has been a visiting scholar at POSTECH (South Korea), a software engineer at Google, and a research staff at BlackBerry. 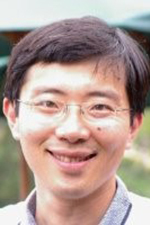 Dr Tao Zhang is an IEEE Fellow, is a Distinguished Engineer / Senior Director of Cisco’s Corporate Strategic Innovation Group. He joined Cisco in 2012 as Chief Scientist for Smart Connected Vehicles. Since then, he has also been leading initiatives to create strategies, architectures, technology, and eco-systems for the Internet of Things (IoT) and Fog Computing. Prior to Cisco, he was Chief Scientist and Director of Mobile and Vehicular Networking at Telcordia Technologies (formerly Bell Communications Research or Bellcore). For over 25 years, Tao has been in various technical and executive positions, directing research and product development for vehicular, mobile, and broadband networking. Dr. Zhang is a Co-Founder and a Board Director of the Open Fog Consortium, the CIO and a Board Governor of the IEEE Communications Society (2016 and 2017), and a founding Board Director of the Connected Vehicle Trade Association (CVTA). 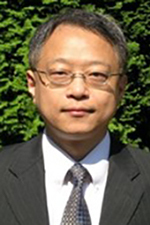 Prof S. Felix Wu is the Associate Dean of Academic Personnel and Planning at College of Engineering, UC Davis. His academic work has been doing “experimental” system research, i.e., building prototype systems to justify and validate novel architectural concepts. 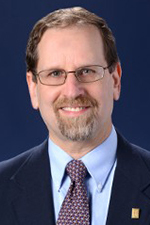 Since 1995, he and his students/postdocs have built many experimental systems in the areas of fault tolerant network, IPSec/VPN security policy, attack source tracing, wireless network security, intrusion detection and response, visual information analytics, and, more recently, future Internet design. An article titled "Networking: Four ways to reinvent the Internet" published in Nature 463 (February 3rd, 2010, by Katharine Gammon) provided a brief but very nice cover about his primary thought on a Social-network-based future Internet architecture (much more comprehensible than if he were to write it, actually). During the past couple years, he has been pretending (and hoping) to know a little bit more about humanity science so he can claim that he is working on multidisciplinary research. And, he strongly believes that thoroughly considering the factor of human relationships is necessary for any IT innovation. Therefore, his primary research objective, before he retires, is to help and contribute to the information technology advancement that would truly help our human society. As an initial step, he recently released the SINCERE (Social Interactive Networking and Conversation Entropy Ranking Engine, sponsored by NSF) search engine under http://www.sincere.se, which is trying to help our Internet society to discover "interesting/unusual" discussions. Felix received his BS from Tunghai University, Taiwan, in 1985, both MS and PhD from Columbia University in 1989 and 1995, all in Computer Science. He has about 110+ academic publications, which means that he should probably focus much more on the depth and quality. He is currently a Professor with the Computer Science department at UC Davis. 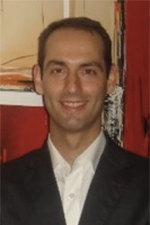 Dr Giovane C. M. Moura is a Data Scientist with SIDN Labs, the research arm of SIDN, the top-level domain of the Netherlands (.nl). His research combines performance and security of computer networks with real-world operational deployment, given SIDN's operational requirements (DNS registry and operator). For example, together with colleagues from ISI/USC and the University of Twente, Giovane has recently published a study on the DDoS attacks on the Root DNS at the prestigious ACM IMC2016 conference. Together with the University of Twente, he is working in the SAND project that aims at improving the resilience of IP anycast networks during a DDoS attack. Besides that, Giovane works on solutions that aim at detecting and mitigating malicious domains within TLD zones. Giovane has co-authored more than 20 scientific publications, and is also an active participant at the IETF/IRTF communities. He presented his first scientific paper at IM 2007, organized in Munich. Prior to SIDN, he worked as a postdoctoral researcher at TU Delft, and obtained his Ph.D. from the University of Twente, both in the Netherlands. He has also a Master's degree from the Federal University of Rio Grande do Sul, Brazil. 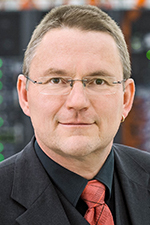 Prof Helmut Reiser is the department head for communication networks at the Leibniz-Supercomputing Centre, and professor of computer science at the Ludwig-Maximilians University in Munich. He attained a Diploma degree in Computer Sciences from Technical University Munich, a PhD degree and 2008 the postdoctoral lecture qualification (venia docendi) from Ludwig Maximilian University (LMU) Munich. Since 2014 he is a professor at the department of Mathematics, Statistics and Computer Science at LMU. At the Leibniz-Supercomputing Centre he is responsible for the design, realization, operation and management of the Munich Scientific Network (MWN) which connects all Munich Universities and other research organizations in the greater area of Munich. MWN connects more than 130.000 users and nearly 200.000 devices. His research comprises security, security-management and IT-management in large-scale open and inter-organizational infrastructures. Prof John Kar-Kin Zao, National Chiao Tung University (Taiwan), PhD in Computer Science (Harvard, 1995) and Senior Member, IEEE (2001). Dr. John Zao is the Co-Chairman of the Security Workgroup under OpenFog Consortium and the Chief Technology Officer of NGoggle Inc. in San Diego, USA. He is also an Associate Professor on leave from the Computer Science Department of National Chiao Tung University in Hsinchu, Taiwan. Dr. Zao has served as a Senior Member of Technical Staff (1994–1999) and then a Principal Member of Technical Staff (1999–2002) in the Information Security Department of the Internet pioneer, BBN Technologies. He was the principal investigator of several DARPA projects including: Security Architecture for Global Mobile IP Support (MoIPS), Policy Based Security Management (PBSM), Policy Management for Defense Information Assurance Networks (Pledge) and Information Assurance System Modeling (AVDA). Since 2010, Dr. Zao has been collaborating with Dr. Tzyy-Ping Jung in the Swartz Center for Computational Neuro¬science (SCCN) at the University of California in San Diego (UCSD) to develop real-world applications of augmented brain-computer interfaces (A-BCI). Their team developed a fog-cloud computing infrastructure to support pervasive real-time brain-computer interactions and a set of imperceptible polychromatic stimuli to induce steady-state visual evoked potentials (SSVEP) from human brains. In 2016, Dr. John Zao and Dr. Yi-Pai Huang of NCTU along with Tzyy-Ping Dr. Jung and Dr. Felipe Medeiros in UCSD founded two start-up companies based on their technologies: CerebraTek in Taiwan to develop AR/VR-based brain-computer interactive systems and NGoggle in San Diego to apply their technologies on Glaucoma assessment. The companies have just completed the pre-clinical tests of their products with the support of NIH R01 and R21 grants. P4: Analytics for Big Data on Clouds – Hype or Reality? The concept of “big data” has been receiving tremendous attention. With interest in the topic growing exponentially, there have been countless articles and many meetings and conferences about the topic. To the extent that big data will have an even bigger impact, it might not be in just the classic territory addressed by Analytics. As big data offers unprecedented awareness of phenomena and pattern recognition — particularly of consumers’ actions and attitudes — will we see much improvement on the predictions of previous-generation Analytics methods? What real sources of big data do they have? What data problems can't they solve with existing solutions? What new methods are still needed? 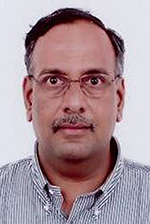 Dr Mouli Chandramouli (moderator) is an Architect with Cisco Systems, Bangalore. Mouli is currently working on Energy Efficiency of networks and the IETF standards. Mouli holds M.S. and a Ph.D. degree in Operations Research from the University of Arizona, Tucson, AZ with specialization in Queueing Theory. Mouli Chandramouli worked for 10 years at AT&T Bell Laboratories, NJ and Bell Communications Research, NJ in the areas of performance modeling and traffic analysis of networks. Later, Mouli joined a start-up company, Dynamicsoft, focusing on SIP and Voice over networks. With the Cisco acquisition of Dynamicsoft, Mouli Chandramouli joined Cisco. The focus of the work was in the areas of MPLS networks and performance analysis. In 2009, Mouli relocated to Cisco, Bangalore working on Solution Architectures for Emerging markets. Dr Alex Clemm is a Distinguished Engineer at Huawei’s Future Networks group. He has been involved in management technology throughout his career and has several dozen publications and patents in this area. He is also the author and/or editor of several books, including “Network Management Fundamentals” (Cisco Press) and “Network-Embedded Management and Applications” (Springer). In his spare time, he moonlights on the adjunct faculty of Santa Clara University and serves on the organizing and/or program committee of the top conferences in the field, including as General Co-Chair of IFIP/IEEE IM 2013, of Manweek (now CNSM) and DSOM 2007, and of the IM 2005 TPC. Prof Rolf Stadler is a professor with the Department of Network and Systems Engineering at KTH Royal Institute of Technology in Stockholm, Sweden. He holds an M.Sc. degree in mathematics and a Ph.D. in computer science from the University of Zurich. Before joining KTH in 2001, he held positions at the IBM Zurich Research Laboratory, Columbia University, and ETH Zürich. 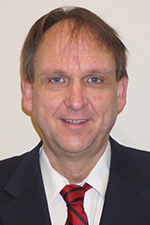 Rolf Stadler is currently EiC of IEEE TNSM. His group has made contributions to real-time monitoring, resource management, and self-management for large-scale networks and clouds. His current interests include advanced monitoring techniques, as well as data-driven methods for network engineering and management. Prof Nur Zincir-Heywood has been with the Faculty of Computer Science at Dalhousie University, Halifax, Canada since 2000. She has become a Full Professor in 2010. Her research interests include data analytics and machine learning for network traffic analysis, application behaviour analysis, cybersecurity, and network management. She is currently one of the Guest Editors for the IEEE TNSM Special Issue on Advances in Big Data Analytics for Management, and one of the Guest Editors for Wiley IJNM Special Issue on Big Data Analytics for Network and Service Management. She has been a co-organizer for the IEEE/IFIP International Workshop on Analytics for Network and Service Management since 2016. P5: Cloud and Virtual Networks: are operators going to subcontract management to IT companies? The border in between telecommunications and informatics is getting more and more diffuse these days. As a consequence of the “invasion” of telecoms by computers, at all levels, more and more concepts existing in the IT world are being extended to the telecommunications one, among which cloud computing and virtualisation are two good examples, being applicable to networks in general, and to network management in particular. In the new network architectures, namely in 5G, these two concepts will play a crucial role, not only for the easiness of designing and expanding networks, but also enabling new business models. The “impossible equation” of fast traffic (therefore, investment and expenses) growth in parallel to a slow growth of revenues (coming from the flat fees) seems to be on the verge of finding a solution, due to the potential large reduction of costs to operators coming from the introduction of these technologies. The impact on network management will be quite significant, since this will allow IT companies to start providing cloud and virtualisation services to operators, in parallel to the storage of information and other types of services already made available these days. This panel intends to discuss these matters, shedding some light on the potential evolution that will be observed, and the pace with which it will be implemented. Is there a border in between Telecommunications and Information Technologies? How will IT influence new businesses around Telecom Operators? How will virtualisation and cloud technologies impact telecoms? Are operators going to subcontract management to IT companies? Luis M. Correia (moderator) was born in Portugal, in 1958. 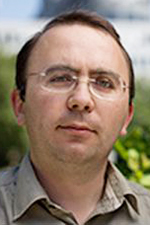 He received the Ph.D. in Electrical and Computer Engineering from IST (University of Lisbon), where he is currently a Professor in Telecommunications, with his work focused in Wireless/Mobile Communications, with the research activities developed in the INESC-ID institute. He has acted as a consultant for Portuguese mobile communications operators and the telecommunications regulator, besides other public and private entities, and he has been in the Board of Directors of a telecommunications company. He has participated in 34 projects within European frameworks, having coordinated 4 of them and taken leadership responsibilities at various levels in many others. 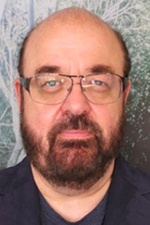 He has edited 6 books, contribute to European strategic documents, and authored more than 400 papers in international and national journals and conferences, for which he has served also as a reviewer, editor, and board member. At the international level, he has been part of 30 Ph.D. juries, and of 29 research projects and institutions evaluation committees for funding agencies in 8 countries and the European Commission. He was a National Delegate to the COST Domain Committee on ICT. He was active in the European Net!Works platform, by being an elected member of its Expert Advisory Group and of its Steering Board, and the Chairman of its Working Group on Applications, and was also elected to the European 5G PPP Association. 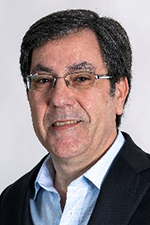 Luis Alveirinho was born in Portugal in 1957 and is Director of Engineering and Network Operations at Portugal Telecom since July 2015. He received the MSc degree in Telecommunications and Computer Science from the Lisbon Technical University in 1983. He joined PT Group in 1983 and worked since then in the areas Technology, Planning and Development, Implementation and Strategic Development of Networks and Systems. He assumed management roles since 1990. In 1998 he was appointed as Director of Network Management and Operational Support Systems at PT being responsible for the design, development, implementation and management of all Network Management Platforms of the wireline business. From 1998 to 2002 he was Director of Engineering and Network Planning, responsible for the technical Planning and Development of all wireline Network Platforms and Systems. In the period of 2003-2007 he was Director of Network Planning and Strategic Development of the wireline business of PT. After the integration/merge of the wireline and wireless PT business occurred in September 2007, he took the role of Director of Network Planning and Implementation of Portugal Telecom (responsible for the Planning, Implementation and Strategic Development of both Fixed, Multimedia and Mobile networks). Member of the Board of Directors of PT Inovação (R&D Company of the PT Group) in the period of 2009-2011. Director of Engineering and Network Development and Implementation of Oi Telemar (Brazil) during the period of 2011-2013, responsible for the Planning, Implementation and Strategic Development of both Fixed, Multimedia and Mobile networks in Oi Brazil. He was awarded the Individual Award of the FTTH Council Europe in 2017 for his outstanding efforts to accelerate the adoption of FTTH in Europe. Carlos Caseiro is responsible for Technology and Delivery at Celfinet. He graduated in Electrical Engineering and Computer Science (Telecommunications) by the Lisbon Technical University in 1990. He holds a Master degree in Mobile Communications Engineering by the Lisbon Technical University in 1997. He started as telecoms engineer responsible for spectrum management in National Regulator Authority (ICP) in 1991. Over 25 years experience in Mobile Communications mostly as Radio Access Network Manager in different Network Operators as Vodafone (Portugal), VHA (Australia) and Movicel (Angola). Whilst on those roles, he led several new technologies programs on UMTS, HSPA, LTE and SRAN. He worked on the development of UMTS specifications in ETSI and 3GPP. Nuno Bernardo was born in Portugal, in 1974. He received the Graduation in Electrical and Computer Engineering from IST (University of Lisbon) in 1998. Since then has been responsible for National and International Wireless and Cross-domain projects. He has been speaker in CxO events about Network Evolution Vision 2020. Working in Huawei for 7 years, leads at the moment IoT and Industry4.0 projects. 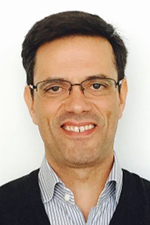 Rafael Aranha is a System Architecture with Altran Portugal. Rafael is currently responsible for the pre-sales and design of IT Infrastructure & Cybersecurity consultancy services and solutions. Rafael holds a M.Sc. Degree in Electrical and Computer Engineering from the Military Academy and Graduate Studies in Information and System Management from ISCTE. Rafael worked for 10 years for the Portuguese Army where he was mostly involved in radio, network & security related national and international projects. He managed the Army’s network, transmission and core infrastructure and was part of the Information Security Center team. Currently main focus is on advising Altran clients on solutions related to Software Defined Networks, Software Defined Security and in the use of data analytics to face current and future challenges.